Dr. Megan Osborne has a PhD in Clinical Christian Counseling specializing in the treatment of eating disorders and negative body image. 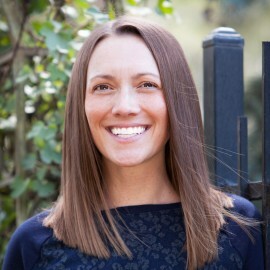 Dr. Osborne worked in the area of eating disorder prevention research at Stanford University for a number of years before entering into private practice specializing in the treatment of eating disorders, specifically BED (binge eating disorder) and weight management using the Intuitive Eating method for the past 12 years. In addition to one-on-one distance based coaching, Dr. Osborne is available for one-on-one consulting/coaching with parents that have questions about their children regarding body image and eating/relationship with food. John 15:5 “I am the vine and you are the branches. If a man remains in me and I in him, he will bear much fruit; apart from me you can do nothing.” I came to fully accept the Lord at age 19 and have both witnessed and experienced His transforming hand in my life as I continually surrender myself on a daily basis. Growing passionating as a Follower of Christ, committed to being personally discipled, and mentoring others in His abundance of love.